Use this page to access online education opportunities, courses, workshops and webinars. As a new benefit for ACS members, this $140 course is available FREE of charge. ACS Member? You can find the discount code on the Member Benefits: Quick Access page. Not a member? Consider Joining Today! The Food Safety Preventive Controls Alliance (FSPCA) is a broad-based public/ private alliance consisting of key industry, academic and government stakeholders whose mission is to support safe food production by developing a nationwide core curriculum, training, and outreach programs to assist companies producing human and animal food in complying with the preventive controls regulations that will be part of the Food Safety Modernization Act (FSMA). ACS Webinar Archive of webinars available exclusively to ACS members. This video from the Cornell University Food Science Department, Cornell Small Farms Program, and the New York State Department of Agriculture and Markets demonstrates cleaning and sanitizing procedures. 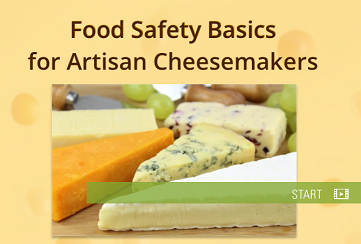 A series of videos that provide technical support, and aid in FSMA compliance.